For the next match – Russia vs Egypt. For the next match – Uruguay vs Saudi Arabia. Uruguay are one of a handful of teams who are quietly fancied to make an impact in Russia with the South American side being handed a kind draw in Group A. They are led by 71-year old Oscar Tabarez, who is an extremely popular figure and continues to manage the national team despite health complications. ‘El Maestro’ will be managing at his fourth World Cup and he will be desperately hoping that his side can progress to the round of 16. They’ve never failed to qualify for the knock-out rounds at a World Cup under Tabarez’s guidance and they can be backed at 10/11 with 10 Bet to finish top of their section. Egypt return to the competition after a 28-year absence and could be extremely dangerous in Russia. The Pharaohs are led by 61-year old Hector Cuper, who has outlined his plans to guide his side to the last 16. They have been dealt a relatively kind group and they will hope to capitalise on the opportunity. They reached the final of the African Nations Cup and are playing with confidence. It’s hard to mention Egypt without focusing on the contribution of Mo Salah. The Liverpool winger has enjoyed a superb season in the Premier League, picking up numerous awards including the PFA Player of the Year. 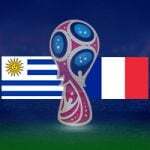 Uruguay qualified for the tournament with relative ease, strolling to second position in the South American qualifying group and Luis Suarez and Edison Cavani are likely to play a pivotal role once again. They also have a number of useful players such as Rodrigo Bentancur and Federico Valverde, who have helped keep the side fresh. Inter’s Matias Vecino is also coming off the back of a very useful season in Serie A. 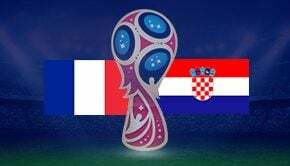 There are a couple of concerns over their defence and they will be required to keep it tight if they bump into either Spain or Portugal in the round of 16. A last-gasp penalty sparked mass celebrations amongst Egyptian fans with Mo Salah calmly converting from the spot. They were less-than-convincing in their last couple of games but nerves could have played a significant part in those displays. Essam El Hadary could make history this summer with the 45-year old goalkeeper aiming to become the oldest-ever player to feature at the tournament, whilst Basem Morsy appears to have settled his differences with the coaching staff and should play a huge part. Egypt undoubtedly possess a threat and Mo Salah is likely to be at the epicentre of their attacking play but Uruguay have quality throughout their side and are favoured to collect three points in this opener. They have a squad who play regularly in various top flights around Europe and they always look a threat at major tournaments. They qualified with relative ease and will want to start with three points. 10Bet are offering 8/11 on Uruguay to get off to a winning start in this encounter and they warmed up for the tournament with victories over Wales and the Czech Republic. This looks slightly easier. At a slightly bigger price, Bet365 are offering Evens for Uruguay to Score Over 1.5 Team Goals in this game. A few goals are expected between these sides and Egypt could get on the scoresheet. Questions remain over the Uruguayan back-line with Sebastian Coates occasionally slow to react and the ageing legs of Diego Godin could find Mo Salah’s pace troublesome. Both Teams to Score? Yes is favoured in this game and can be backed at 11/10 with Betfred. It’s 31/21 with 888Sport for Over 1.5 Second Half Goals and this match could take a while to come to life. Three of the four goals in Uruguay’s opening 2014 World Cup game arrived after the break. There are a number of possible scorelines for this Group A affair but 2-1 Uruguay looks amongst the most likely and is available at 8/1 with 10Bet. 2018 will be Uruguay’s 13th World Cup appearance. They have won the tournament on two occasions but haven’t been victorious since 1950. They finished fourth in 2010; that was their best finish in forty years. Uruguay netted four goals in as many matches at the 2014 World Cup. Luis Suarez is the joint-third highest goalscorer at the World Cup for Uruguay. Egypt were the first African team to play at the tournament (1934). This will be Egypt’s 3rd World Cup appearance. After the 1934 tournament, it took 56 years and 16 days until they would make their next appearance in the competition. They failed to win any of their three matches at the 1990 World Cup. Uruguay: Fernando Muslera, José Giménez, Diego Godín (captain), Guillermo Varela, Carlos Sánchez, Rodrigo Bentancur, Cristian Rodríguez, Nahitan Nández, Luis Suárez, Giorgian De Arrascaeta, Cristhian Stuani, Martín Campaña, Gastón Silva, Lucas Torreira, Matías Vecino, Maxi Pereira, Diego Laxalt, Maxi Gómez, Sebastián Coates, Jonathan Urretaviscaya, Edinson Cavani, Martín Cáceres, Martín Silva. Egypt: Essam El-Hadary (captain), Ali Gabr, Ahmed Elmohamady, Omar Gaber, Sam Morsy, Ahmed Hegazi, Ahmed Fathy, Tarek Hamed, Marwan Mohsen, Mohamed Salah, Kahraba, Ayman Ashraf, Mohamed Abdel-Shafy, Ramadan Sobhi, Mahmoud Hamdy, Sherif Ekramy, Mohamed Elneny, Shikabala, Abdallah Said, Saad Samir, Trézéguet, Amr Warda, Mohamed El-Shenawy.